The inspiration for my recent column on the chickens that played tic-tac-toe was a book published in July, “The Chicken, a Natural History” by Joseph Barber. He doesn’t explore gamer chickens, but pretty much touches on everything else you might want to know about the world’s most populous bird. This is a what, why, and how-to book, short-takes on dozens of facets of the life of these fascinating birds. The book has everything but recipes. Barber begins with the jungle fowl of Southeast Asia, the point an estimated 10,000 years ago when people began the process of domesticating what has turned out to be a most reliable source of protein. Chickens benefited from the relationship, too, gaining an easy source of food and protection from predators. Beyond nourishment, chickens also give us a collection system for garden pests, and fertilizer. Chickens also are, says Barber, just plain good company for many of us. You can learn much about chicken anatomy and biology here, a book section with excellent illustrations dissecting on the page the internal secrets of the bird, from eggs onward. Much of what you learn here about chickens in many cases applies as well to other bird species. Flight is a common denominator, as are eggs. 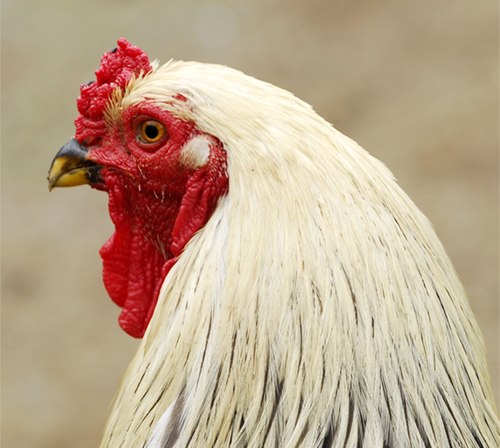 Chickens have been farm animals forever, more recently becoming urban birds. Backyard coops have become common enough to put these birds into municipal ordinance books. Barber had help in this effort from Janet Daly, Catrin Rutland, Mark Hauber, and Andy Cawthray. There is an index, a bibliography, a list of breeds by use of the bird, and throughout history where your questions might arise. Princeton University Press published this papeback book of 224 pages and a price of $17.95. We will assume that some of the co-authors are responsible for both or either the photography and the illustration work. They deserve credit.